When you receive a petition for child support, you must file your answer within the time specified in your state's civil procedure code. While filing your answer can protect you from a default judgment, it is only the first of many jobs you'll need to do in order to defend yourself in child support court. Child support court is no place to make mistakes; inaccuracies in any of the figures presented to the court can cost you thousands of dollars over the life of a child support award. While the law varies from state to state, child support is usually determined under state-specified guidelines that take into account the parties' incomes and various other expenses, such as health insurance and day care. Generally, the guidelines figure is presumed to be sufficient to meet the needs of the children for whom support is being established. Since child support varies based upon the figures the court puts into the guidelines, it is extremely important to know the other side's income and ensure that you aren't treated as earning more than you actually do. Before your court date, check your local rules to see what kind of documents you'll need to bring and what affidavits you'll need to file in advance. Any statement of income or net worth should be 100 percent truthful, as the other parent's attorney has a number of ways to figure out if it isn't. Bring any receipts for money you've already spent on the child. Well in advance of your actual hearing, you may request proof of the other parent's income and expenses as well. If she refuses to share them with you, you may have subpoenas issued or serve her with interrogatories (written questions that she must answer under oath) and document production requests. The law in some states allows a court to deviate from the guidelines if you can show the guideline amount is excessive in relation to the needs of the children or your ability to pay. While the court probably won't be persuaded by hardships, such as credit card and car payments, financial difficulties that are the result of such events as an expensive medical condition on your part or that of your current spouse may justify a deviation from the guidelines. 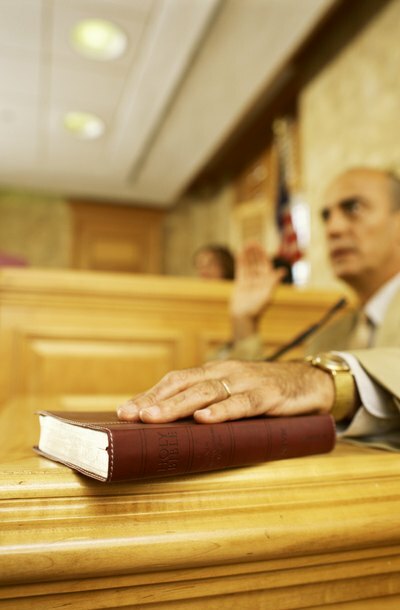 The law may require you to ask for a deviation in a written motion before the hearing. Also, realize that the same law that allows the court to deviate downward from the guidelines will likely also allow it to deviate upward. Once an order is entered, you can typically only change it by filing a motion for modification. Generally, you'll need to show a substantial change of circumstances relating to either your ability to pay or the children's need for support. If you can't show such a change -- or if a reduction in your ability to pay was your fault, such as you quitting your job or getting fired for cause -- the court will probably deny your petition.